Administrative Law Judge Deborah Myers-Cregar, Office of Administrative Hearings (OAH), State of California, heard this matter on May 29, May 30, and June 1, 2012, in Van Nuys, California. The parties submitted closing briefs on June 11, 2012, at which time the matter was submitted. Student’s mother (Parent) represented Student. Jeffrey Morris, Attorney at Law, represented District. Jacqueline Campos appeared on behalf of District. On March 15, 2012, Student filed a Request for Due Process Hearing (complaint). On April 12, 2012, the parties jointly requested a continuance, which was granted for good cause. Whether District denied Student a free and appropriate public education (FAPE) during the 2011-2012 school year by failing to offer an opportunity to be in her stander twice daily. 1. As of the time of hearing, Student was 19 years old and under conservatorship of her Parent due to cerebral palsy, severe scoliosis, low cognition, and low adaptive skills. She was eligible for special education and related services under the category of multiple disabilities based on her severe orthopedic impairment, intellectual disability, speech and language impairment, and visual impairment. At all relevant times, Student lived within the jurisdictional boundaries of District. 2. As a quadriplegic, Student was completely dependent upon others for her basic care and mobility. Student previously walked with a gait trainer, but as she grew into adulthood, her cerebral palsy caused severe spinal scoliosis, which left her wheelchair bound. She wore a Kydex brace for orthopedic support. 3. At all relevant times, Student had a stander at home and at school. A stander is a mechanical platform with straps, which tilts from a horizontal to a vertical position, thus enabling a disabled person to stand. The stander was the only equipment which could hold Student upright. 4. Student remained in a wheelchair for all of her school day, except when she was transferred into her stander for one hour in the morning, or onto her changing table for an hour twice daily. District provided transportation from home to school each day. Student remained in her wheelchair on the bus. The bus picked her up at 7:35 a.m. and returned her home by 3:45 p.m., eight hours later. 5. The 2011 to 2012 school year at Reseda High School 1 began on August 15, 2011 and ended on June 1, 2012. Student did not attend school between September 21 and December 5, 2011, due to transportation issues. Winter recess began December 19, 2011 and ended January 6, 2012. Spring break was observed April 2 through 6, 2012, and two holidays were observed on March 30, and May 28, 2012. 1 Official notice is taken of District’s website which provided the school calendar for Reseda High School. 2 The Regional Center provides habilitation services to Student pursuant to the Lanterman Act found in Welfare and Institutions Code section 4500, et. seq. 7. District reported on her present levels of performance in the areas of assistive technology, vision, functional English-aural listening, behavior, functional math, gross motor skills, communication, health, vocational education, and orthopedic impairment services. Student was identified as an English language learner. 8. District wrote goals in the areas of aural listening, behavior support, functional math, and mobility. For aural listening, Student would attend to the person speaking and use a switch near her head to activate a voice output device when asked questions with 35 percent accuracy in three out of seven trials. For behavior support, Student would communicate to her collaborative staff her basic needs for toileting, hunger, thirst, pain, movement, and increased or decreased stimulation, with established and new skills for communication with 35 percent accuracy in three of five trials. For functional math, Student would demonstrate understanding of the “number one” when the number was spoken to her or she was given a pictorial or tactile representation, by using new or established communication pathways with 20 percent accuracy in two of five trials. 9. For mobility, Student would access classroom and school environment and restrooms with adult assistance using adapted/assistive equipment, including a mechanical lift with slings, a stander, a changing table, a toilet system, an adapted desk, and a therapy mat, four out of five days. As an incremental objective, Student would be transferred in and out of her wheelchair and on and off the changing table on a daily basis with adult assistance. As a second incremental objective, Student would be able to stand in her stander for 30 minutes twice per day, and lay down on a flat surface for pressure relief for 15 minutes twice per day on a daily basis with adult assistance. 10. The District offered placement at the Leichman Special Education Center in a mild to moderate special day class for 1890 minutes per week, for 100 percent of her school day. District offered an alternate curriculum with instructional accommodations, modifications, and supports. It offered program support during all classes, transitions, nutrition and lunch, toileting and hygiene schedules, the use of lifting devices for her wheelchair, her stander for movement, her toileting seating equipment, and her changing table. District offered home to school transportation with an aide, low incidence support, assistive technology, and the extended school year session. 11. District offered low incidence services in the form of 30 minutes of visual impairment service per month, 540 minutes per year of physical therapy and assistive technology. District offered program support. District commented that Student required adapted medical equipment to access her school environment, listing her mechanical lift with swings, her stander, her changing table, her toilet system, her adapted desk as needed, and her therapy mat. District commented that Student required a new stander to be accessible to her use during her PE class. 12. For assistive technology equipment, District identified that Student required two universal wheelchair mounts with quick release wheelchair brackets and switch mounting plates, two button switches, and two one-step switch driven communicators. 13. Student’s Individual Transition Plan (ITP) focused on the goal of continuing to develop communication of preferences by attending to the person speaking and using the switch. 14. Parent disagreed with placement, and wanted Student to remain at Reseda High School. 15. On December 12, 2011, another IEP team meeting was held. The IEP team members in attendance were Sam Pitts, an administrative designee; John Springer, a special education teacher; Chris Barker, a general education teacher; Ailene Yamaka, a visual impairment specialist; Vincent Licassi, an assistive technology specialist, Theresa Van Vranken, a physical therapist; and Parent. 16. District reported on her present levels of performance in the areas of vision, functional English-aural listening, behavior, functional math, communication, and vocational education. Student was identified as an English language learner. 17. District wrote goals in the areas of aural listening, behavior support, functional math, and mobility. As in the prior IEP, for aural listening, Student would attend to the person speaking and use a switch near her head to activate a voice output device when asked questions with 35 percent accuracy in three out of seven trials. For behavior support and for vocational education, Student would communicate to her collaborative staff her basic needs for toileting, hunger, thirst, pain, movement, and increased or decreased stimulation, with established and new skills for communication with 20 percent accuracy in three of seven trials. For functional math, Student would demonstrate understanding of the “number one” when the number was spoken to her or she was given a pictorial or tactile representation, by using new or established communication pathways with 15 percent accuracy in two of five trials. 18. District wrote a goal for Student’s functional mobility, to maintain her access to the educational environment, in which she would continue to use her customized stander and head rest in the classroom for 45 to 60 minutes, four out of five opportunities, 75 percent of the time. The IEP did not specify the frequency that this would occur, but in practice it had occurred once per day. 19. The District offered placement at Reseda High School in a mild to moderate special day class for 1000 minutes per week, for 53 percent of her school day. District offered an alternate curriculum with instructional accommodations, modifications and supports. It offered program support during all classes, transitions, nutrition and lunch, toileting and hygiene schedules, the use of lifting devices for her wheelchair, her stander for movement, her toileting seating equipment, and her changing table. District offered home to school transportation with an aide, low incidence support, assistive technology, and the extended school year session. 20. District offered low incidence services in the form of 200 minutes of visual impairment consultation per year, 240 minutes per year of physical therapy consultation for the regular school year, and 60 minutes per year of physical therapy consultation for the extended school year. District also offered program support. 21. Student’s ITP focused on the goal of continuing to develop communication of preferences by attending to the person speaking and using the head switch. 22. Student was absent from school between September 21 through December 5, 2011, and the IEP team did not meet sooner. District continued to offer Reseda High School as requested by Parent. Since 2009, Student had been under the designation of specially designed PE which is not goal driven, but she could participate in the adapted physical education (APE) class. 23. As to the IEP offer, Parent disagreed with Student being placed in her stander only once per day, but agreed to the remaining portions of the IEP. 24. On December 23, 2011, Parent filed a Due Process Request, OAH case number 2011120865. On February 29, 2012, Parent and District entered into a fully executed settlement agreement. 3 Parent agreed to waive all claims relating to Student’s educational program up to and including the date of the agreement, and agreed to dismiss the complaint. District agreed to hold an amendment IEP in which the physical therapist would consult with the afternoon teachers and assisting staff, and District would hold an amendment IEP to discuss whether Student could have a second session in her stander in the afternoon. 3 District’s exhibit 4, the subject settlement agreement, was admitted into evidence to assist the ALJ in better understanding the evidence and Student’s unique needs. 25. In accordance with the settlement agreement, the amendment IEP was held on March 12, 2012. The IEP team members in attendance were Sam Pitts, an administrative designee; John Springer, a special education teacher; Chris Barker, a general education teacher; Theresa Van Franken, a physical therapist; and Parent. 26. District reported on Student’s present levels of performance in the areas of vision, functional English-aural listening, behavior, functional math, communication, vocational education, and functional mobility. Student had met her short term objective in aural listening and behavior support, but none of her goals in any areas of need. 27. In the area of functional mobility, District noted Student’s orthopedic condition was so severe that she was completely dependent on adults and equipment for all aspects of her functional mobility and physical access. As an area of strength, Student was able to tolerate sitting in her wheelchair for tabletop activities with adult assistance and with the use of her switch. As an area of strength, Student was able to tolerate standing in her stander once per day for at least 45 minutes. She was placed on the changing table and adapted toilet once per day, and could use a mat for stretching. District reported that in her APE class, Student was transferred out of her wheelchair onto a mat to allow her to extend her limbs and spine. 28. District wrote goals in the areas of aural listening, behavior support, functional math, communication, vocational education, and mobility. 29. For aural listening, District wrote a goal that Student would attend to the person speaking and use a switch near her head to activate a voice output device when asked questions with 35 percent accuracy in three out of seven trials. For behavior support and for vocational education, Student would communicate to her collaborative staff her basic needs for toileting, hunger, thirst, pain, movement, and increased or decreased stimulation, with established and new skills for communication with 20 percent accuracy in three of seven trials. For functional math, Student would demonstrate understanding of the “number one” when the number is spoken to her or she is given a pictorial or tactile representation, by using new or established communication pathways with 15 percent accuracy in two of five trials. For communication, Student would attend to a person speaking and use a switch to activate a voice output device when asked questions with 20 percent accuracy in three of seven trials. 30. For functional mobility, District wrote a goal that to maintain her access to the educational environment, Student would continue to use her customized stander and head rest one session per day for approximately one hour. 31. 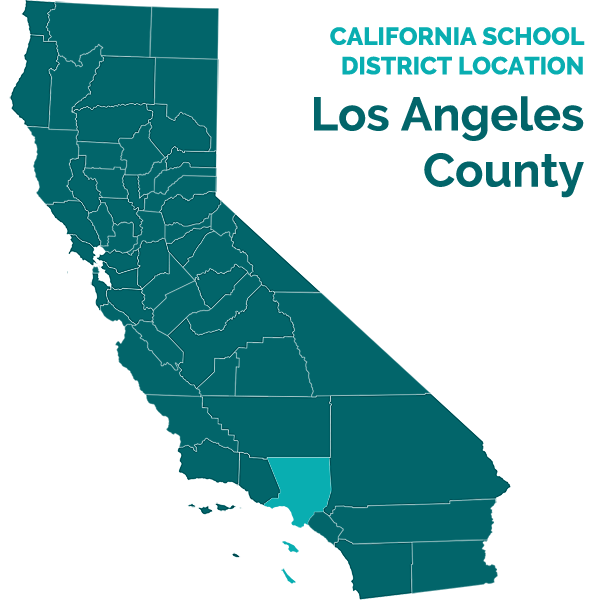 The District offered placement at Reseda High School in a mild to moderate special day class for 1196 minutes per week, for 63 percent of her school day. District offered an alternate curriculum with instructional accommodations, modifications, and supports. It offered program support during all classes, transitions, nutrition and lunch, toileting and hygiene schedules, the use of lifting devices for her wheelchair, her stander for movement, her toileting seating equipment, and her changing table. District offered home to school transportation with an aide, low incidence support, assistive technology, and the extended school year session. 32. District offered low incidence services in the form of 200 minutes of visual impairment consultation per year, 240 minutes per year of physical therapy consultation for the regular school year, and 60 minutes per year of physical therapy consultation for the extended school year. District also offered program support. 33. Student’s ITP focused on the goal of continuing to develop communication of preferences by attending to the person speaking and using the switch. 34. District and Parent discussed Student’s need to be placed in a stander for a second session. Ms. Van Vranken did not believe a second session was necessary based on an article from the Journal of the American Physical Therapy Association which concluded that the use of standing programs for at least 60 minutes, four to five times a week was recommended for general bone development. 35. The IEP team offered one session per day in the stander for approximately 60 minutes. Parent disagreed with Ms. Van Vranken’s recommendation and wanted Student to use her stander twice per day while at school. 36. At hearing, Christina Barker, Student’s special day class teacher (SDC), testified in support of the District’s offer. Ms. Barker held a multiple subject clear credential and a Master’s degree. She taught at District’s Reseda High School for nine years. Ms. Barker had been Student’s teacher for three years. She described Student’s cognition, typical schedule, curriculum, wheelchair use, stander use, and communication switch use. 37. Student was so cognitively delayed that Ms. Barker could not put an age level equivalency on her development. Student could verbalize only three words in Farsi, and none in English. Student blinked her eyes for “yes,” and rolled her eyes over to one side for “no.” Student had minimal expression, but seemed to enjoy humor. 38. Ms. Barker and her adult assistants documented Student’s “typical” schedule for Tuesday March 13, 2012 through Friday, March 16, 2012. Student was in her stander only once per day. District used a block schedule of three class periods per day for two hours on even days, with the remaining three class periods on odd days, and alternated the sequence of the periods throughout the week. At 7:35 a.m., the bus picked up Student. By 8:00 a.m., Student arrived in her classroom. She attended a listening station from 10 to 40 minutes. Student was then transferred and secured into her stander for one hour, and a tray was attached for her communication switches, her table top activities, and for an armrest. By 10:00 a.m., she had nutrition and was fed for twenty minutes. Around 10:30 a.m., Student was placed on her changing table for one hour, and then transferred back into her wheelchair. On odd days, she worked with foam letters and pictures or had a field trip for one hour. On even days, she had APE for 40 minutes to an hour. At 12:30 p.m., Student had lunch for 45 minutes, after which she was placed on her changing table for one hour. On even days, she had art for a half hour, and on odd days she sat in her classroom for unspecified purposes. While Student was normally placed in her stander in the morning, on March 16, 2012, she was placed in her stander in the afternoon for almost an hour instead. At 3:07 p.m., Student’s school day ended, and the bus brought her home by 3:45 p.m.
39. Ms. Barker explained the process by which Student was transferred into her stander, which took between five and 10 minutes. Student was seated upright in her wheelchair in the center of the class. Her stander and lifter were wheeled next to her. Two aides placed a harness behind her, wrapped her thighs, and used the electric lift to raise her from her wheelchair. The two aides positioned her onto the horizontal stander, strapped harnesses across her chest, positioned her arms and legs into supports and straps, and positioned her head into the headrest. Once she was secured, the stander was tilted to a more vertical position. 40. Once Student was in her stander, a tray was attached for her communication switches, to attend to table top activities, and to rest her arms. Student’s aide attached her communication switch onto her stander headrest near her temple. The goal for Student was to tap a button on a box which has the recorded message, “yes please,” thus demonstrating purposeful communication. Student did not show interest in the second button used for “no.” Student used the same two communication switches on her wheelchair. 41. Ms. Barker worked with the aides to increase Student’s standing time. By 2010, Student was able to tolerate the stander at school for one hour. Although Student was not in school between September and December 2011, Ms. Barker believed Student met her IEP mobility goals at the December 2011 IEP because she could tolerate the stander 45 minutes to an hour, four to five days per week. Ms. Barker attended the March 12, 2012 IEP in which a second session in the stander and the physical therapy research was discussed. 42. Ms. Barker opined that there would be no academic reason to place Student in her stander for more than once per day at school. Ms. Barker did not believe Student had any time to be in her stander in the afternoon because she was involved in many activities in the classroom. Additionally, Ms. Barker noted she did not have two aides in the afternoon to place Student in her stander a second time. If Student were to have a second session in the afternoon during APE, adult aides would have to move her from the bathroom to her PE class, and Student would need an additional stander, an additional lifter, and new slings to lift her. 43. For the 2010-2011 school year, Ms. Barker acknowledged Student had two standers at school because a newer model was ordered to replace the older model. Student’s scoliosis had become worse, and the new stander had to be customized to accommodate her curvature. The new stander had segments which could be shifted right or left for a customized fit, and the new headrest could be welded for a custom fit. The new stander arrived at the end of that school year, but the headrest was not yet attached. The older stander was moved to the PE room. The older stander did not hold its positions and setting well, and the vendor asked the District to return it as they did not believe it was safe. District did not replace that second stander. 44. Although the September 2010 IEP team meeting included a discussion that Student would benefit from a second daily session in the stander, that IEP did not require District to do so as part of its offer of a FAPE. 45. Ms. Barker did not notice a difference in Student’s mood, expression, or academic performance, when Student was transferred into the stander. Ms. Barker only noticed a difference in Student’s body activity and movement when she is placed in the stander, as Student stretched her spastic muscles. Ms. Barker did not attach any emotions of excitement or joy to those movements. Ms. Barker noted that when Student was in class with her peers, they were seated. Thus, when Student was placed in her stander, she was not eye level with her seated peers, but was eye level with the adults and peers who were standing in the classroom. 46. Ms. Barker agreed that the two hours per day that Student’s aides placed her on the changing table each day seemed like a long time. Ms. Barker stated she was not in charge of when the aides took Student to her changing table, and was not present when they changed her ‘pull-ups’ or her soiled clothes. 47. At hearing, Theresa Van Vranken, District’s physical therapist, testified in support of the District’s offer. Ms. Van Vranken earned a B.S. degree in Kinethesiology from California State University, Sonoma, and a Ph.D. in Physical Therapy from the University of Southern California in 1998. She worked for District as a physical therapist since September 1998. She was responsible for 50 students at 22 District schools. 48. Ms. Van Vranken had been Student’s physical therapist for the 2011-2012 school year at Reseda High School and provided 240 hours of consultation for her wheelchair, stander, changing table, commode, and slings. She had also been Student’s physical therapist at Birmingham High School during a prior year not disclosed by the record. When Student was at Birmingham, she used a gait trainer as a form of a stander. Staff helped move her legs, because Student could not move independently. 49. Student’s scoliosis had worsened during the 2010-2011 school year. Student needed a new stander with greater degrees of lateral adjustments to conform to her worsening curvature. Ms. Nishino had ordered a new stander with lateral adjustable supports. The stander was the only equipment which could hold Student upright. Student’s optimal position in her stander was an 80 degree vertical angle. 50. Ms. Van Vranken confirmed that Student had two standers in Ms. Barker’s SDC class in June 2011, the older stander with ‘one size fits all’ adjustments and the newer stander without the headrest. The headrest needed a custom fit and weld for Student, as she tilted her head severely to the right. The vendor customized the fit when Student attended school in December 2011. The vendor removed the older stander because it could not safely maintain its adjustments. 51. Ms. Van Vranken attended all of Student’s IEP’s during the 2011-2012 school year. She wrote Student’s mobility goals after consulting with Student’s prior physical therapist, Ms. Nishino, and reading her notes. Ms. Van Vranken wanted to increase Student’s standing goal to 60 minutes in the stander, from 45 minutes. 52. Throughout the school year, Ms. Van Vranken was aware Parent wanted Student to be placed in the stander a second time at school. She consulted with Student’s SDC teacher, and determined it was “almost impossible” to place Student in the stander a second time based upon Student’s schedule, as described by Ms. Barker. Ms. Van Vranken deferred to Ms. Barker to determine Student’s academic schedule. 53. Ms. Van Vranken understood that Student used her communication device while in the stander. She agreed it was an optimal time for her to stand for that purpose. 54. Ms. Van Vranken acknowledged that Student’s 2010 IEP provided for her to be in her stander twice per day. She did not know what Student’s schedule was like at the time. 55. Ms. Van Vranken did not believe Student would receive an educational benefit by being in her stander for a second session in her classroom because of her academic schedule. She believed Student’s communication switch was more vocational than academic. The classroom was the best place for Student to use her stander, so she could interact with her peers, activities, and curriculum. 56. Additionally, Ms. Van Vranken explained that District lacked the staff to accomplish a second standing session. Although one adult could transfer Student into her stander, District used two adults, a male and female aide in the classroom, and two female aides for toileting. The transfer with the electric lifts took up to 10 minutes. 57. Ms. Van Vranken did not believe that Student would receive an educational benefit by being in her stander for a second session during APE, and she deferred to the APE teacher’s program. Student’s APE class was a two hour block on alternate days, in which Student remained in her wheelchair the entire time. Ms. Van Vranken believed Student’s APE class was appropriate for socialization and games. Student was pushed around the field, track or gym in her wheelchair. Student would be isolated if she were in her stander because she would not be mobile, as the other students were. Student’s stander had wheels which were not designed to be rolled around for long distances. She recommended it be moved no more than five feet once Student was secured in it. 58. Ms. Van Vranken did not believe Student was always happy in the stander. Student did not seem happy when adjustments were made to the supports. 59. Ms. Van Vranken noted Student was on her changing table twice per day for one hour for her toileting and hygiene needs. Ms. Van Vranken had never seen Student during those two hours, but believed the aides changed her ‘pull-ups’ and clothes as needed. She also believed they used that time to help her with “toilet conditioning” with the adapted commode. Student had no control of her bladder and bowel functions, so the aides place her on the seat for 10 to 20 minutes and used gravity to assist with her elimination. However, Student had only eliminated her urine twice in the last year with her commode. 60. Student’s wheelchair was a “tilt in space wheelchair,” on a horizontal pivot. Student could experience a shift in gravity on her body. Student’s head could be lowered and her feet raised to accomplish a 30 degree angle above the horizontal plane. By comparison, when Student was placed in her stander, she was positioned at 80 degrees above the horizontal plane. During nutrition, Student was spoon fed at an 80 degree angle. 61. At hearing and at the December 2011 IEP, Ms. Van Vranken stated she did not oppose Student having a second session in the afternoon if Ms. Barker could find the time in her day. Ms. Van Vranken agreed that Student would receive psychological benefits by being upright. Ms. Van Vranken agreed that Student would not be hurt or injured by being in the stander for a second session at school. However, Ms. Van Vranken did not specify the duration of the sessions Student could tolerate therapeutically. 62. In preparation for the March 2012 amendment IEP, Ms. Van Vranken researched physical therapy journal articles. The studies conducted dealt more with duration than frequency. She relied upon a 1992 article published in the Journal of the American Physical Therapy Association written by Wayne Studberg, a Ph.D. physical therapist. She shared the article at the IEP meeting. She interpreted the findings to be that the bone density of children with cerebral palsy would benefit from being in a stander at least 60 minutes per day four to five times per week, as a general guideline. Ms. Van Vranken claimed she could not locate peer reviewed studies regarding placement in standers twice per day. 63. The article Ms. Van Vranken relied upon was Consideration Related to Weight Bearing Programs in Children with Developmental Disabilities, published in January 1992, and written by Wayne A. Stuberg, Ph.D., P.T. The article purported to examine the scientific bases for standing programs, with an emphasis on the effects of weight bearing on bone development. A standing program referred to the use of adaptive equipment to position a child in an upright standing position, when the child’s motor control was otherwise inadequate. A child was defined as having a chronological age over 16 months. The author conceded that little was known about the effects of weight bearing on the development of bone in children in 1992. 64. The author reviewed a study involving the effects of bed rest on an unknown number of non-disabled men aged 21 to 27. The author reviewed studies involving animal bone density, but did not conclude whether those results would be applicable to humans. The author reviewed a study of 64 male athletes and 39 sedentary men to conclude that the male athletes had greater bone density. 65. The author reviewed documented studies involving post menopausal woman, and concluded that weight bearing was a key component in decreasing the likelihood of osteoporosis in non-disabled adults. However, the author believed there were no published studies describing the effects of standing programs on bone modeling for children with developmental disabilities prior to 1992. 66. The author also reviewed a 1992 study in which 20 children with cerebral palsy were non-ambulatory and used a standing program in their educational settings. The preliminary results suggested that the bone mineral density measurements of the patella, tibial plateau, and supracondylar femur of children with cerebral palsy was one-third to onehalf of the value of the non-disabled peers of the same age. The use of a standing program 60 minutes four to five times per week appeared to increase the bone mineral density. Bone density was lost when the standing program was terminated for even a short period of time, even summer break, or when the standing program was 30 minutes or less, and only three times per week. 67. The author also reviewed a 1962 study by G.E. Spencer and P.J. Vignos, Bracing for Ambulation in Childhood Progressive Muscular Dystrophy, in the Journal of Bone Joint Surgery, involving the use of standing programs for children with muscular dystrophy, which showed a dramatic improvement in functional capacity and increased longevity by two to four years. That study concluded that the standing programs should be incorporated into the classroom routine for at least three hours daily. 68. After reviewing the current human and animal studies, the author noted that a standing program of two to three hours per day for adults had been reported to retard bone resorption. He concluded that 60 minutes per day of standing, four to five times per week, would be needed to retard bone loss in children with cerebral palsy who were nonambulatory. The author did not explain how he reached that conclusion. Significantly, the author concluded that standing at a frequency of two or three times daily for 45 minutes each session, should be considered as an adjunct to a positioning program to control lower extremity flexion contractures. The author concluded that the amount of weight bearing a child should receive should be ascertained if the goal for the program was to stimulate bone development. The standing duration was variable, and depended upon whether the goal was bone development, acetabular development, or contracture management. The author’s review of these scientific studies was not educationally focused. 4 CCS has an interagency agreement with the California Department of Education to coordinate the provision of certain medical services for school age children . 70. Dr. Kay was Student’s pediatric orthopedist for the past 10 years, and saw her during her therapy on May 9, 2012. Dr. Kay’s Examination and Progress Report dated May 9, 2012, discussed Student’s medical condition. She had contractures (permanent shortening and inflexibility of her muscles and joints caused by prolonged spasticity), and significant scoliosis (abnormal spinal curvature). Student had elbow flexion contracture of 20 to 25 degrees on the right, but was able to fully extend on the left. She had tightness of her extrinsic finger flexors, but was able to extend them to neutral. Student’s wrists were volar flexed (a wrist flexion deformity), but could be brought to neutral. She had significant knee flexion contractures of 20 degrees on the left and of 30 to 40 degrees on the right. She had pes valgus (a rigid flat foot deformity) on both feet. She had good perfusion (blood flow to capillaries) of her upper and lower extremities. In his report, he recommended she be in the stander twice per day at school for her bone health and overall medical condition. He did not specify the amount of time each session should last. 71. Dr. Kay recommended a protocol for Student to be placed in her standing frame two to three times per day, twice at school and once at home. He did not specify the length of time she should be in her stander. Dr. Kay understood that Student was in a seated position for most of her school day. He believed it was important for her to be in her stander twice per day at school and not in a seated position at school all day. He understood that her current educational plan was to have Student upright once per day at school. He did not know what time she was placed in her standing frame at school. Medically, it did not matter whether the second session in the afternoon occurred at school or at home, but he believed she would enjoy her day more and that it would have a positive effect on her experiences. 72. Student’s spinal curvature and mobility worsened as she became an adult. Dr. Kay explained that Student had used a gait trainer in the past, but he has not seen her walk in several years. Although he had not attended Student’s IEP in the past, he recalled some of her past goals had included time using her gait trainer. He opined it was important for children with cerebral palsy to be up on their feet whenever possible, whether it was with a standing frame or a gait trainer. Dr. Kay emphasized that Student needed to be upright and weight bearing for her bones, her lungs, her gastrointestinal system, and her enjoyment of life. He opined Student should be placed in her stander twice at school for her overall medical and psychological condition. 73. Apart from the medical and psychological benefit, Dr. Kay did not comment on the educational benefit Student might receive from a second standing session. However, he did not believe that placing her on a changing table was intellectually stimulating for her, and he did not believe she enjoyed the experience. Dr. Kay dismissed the 1992 article’s conservative recommendation as conflicting literature. 74. At hearing, Parent testified in support of her request for Student to have a second session in her stander in the school day. Parent explained that Student had been ambulatory when she was younger and lighter. Parent took her for walks in the gait trainer around a local mall. As Student grew older and heavier, she stopped walking. The only time she was upright was when she was placed on her stander at school and at home. Parent described Student’s joy when using the stander. 75. Parent used a stander for Student at home since she was one. Now that Student was 20 years old, Parent had difficulty transferring Student into the stander by herself. Parent’s other daughter helped with the transfers, and they were able to stand Student upright three to four nights per week. CCS provided Student with an electric lift, but it was too large to keep in her small apartment, which was full with Student’s other adapted equipment. Parent hoped Student’s Regional Center would approve a ceiling lift. 76. Parent discussed Student’s prior IEPs in which Student’s goals included being in the stander for a second session at school. She believed a second session would help with muscle atrophy and food digestion. Parent believed the second session at school was essential for Student’s education and quality of life. 77. Parent described that the second session in the stander would also allow for Student’s wheelchair seat to dry out from excess moisture or toileting accidents, because District did not place a mat on top of the seat. Parent believed the second session would also help Student’s skin breakdown or bedsores, which developed as a result of her immobility. 78. Parent questioned District’s claim that Student required two hours a day on the changing table for her toileting needs. Parent believed that time benefited the school staff, who relaxed during that time, more than it benefitted her daughter. 2. Student contends that District denied her a FAPE during the 2011-2012 school year by offering only one standing session per day. Student does not contest any other aspect of her program, including placement, goals, or other services. District contends it offered Student a FAPE by providing one standing session, as there would be no educational benefit to a second session. Because the parties entered a settlement agreement releasing all claims prior to February 29, 2012, this decision is limited to the time period from March 1, 2012, through the end of the 2011-2012 school year. 5. Supportive services also include services which are required for a student to attend school. Continuous nursing and school health services required by a quadriplegic, ventilator dependent student for his periodic physical needs are “related services” required for his meaningful access to his public education. (Cedar Rapids Community School District v. Garrett F. (1999) 526 U.S. 66, 67 [119 S.Ct. 992,143 L.Ed.2d 154], citing Irving Independent School District v. Tatro (1984) 468 U.S. 883, [104 S.Ct. 3371, 82 L.Ed.2d 664]. 10. Here, Student proved by a preponderance of the evidence that she was denied a FAPE because the March 12, 2012 IEP did not include more than one session in the stander per day, for approximately 60 minutes per day as a related service. As will be discussed in further detail below, given Student’s severe and demonstrated orthopedic needs, the evidence showed that Student’s medical condition required her to be in a stander for a second session during the school day to have meaningful access to her educational program. The overall focus of Student’s program was to improve her basic mobility and communication skills, such that increased strength and stamina from use of the stander was educationally related. 11. Dr. Kay persuasively explained his recommended protocol for Student at school. Student should have a standing program with two sessions at school for her overall medical and psychological health to benefit her bones, lungs, gastrointestinal system and enjoyment of life. Student’s orthopedic health and mobility had deteriorated as she grew into an adult. Remaining in her wheelchair at school all day would negatively impact her orthopedic, gastrointestinal, and pulmonary function and overall health and psychological well-being. Although Dr. Kay agreed it did not matter whether the second session took place at school or at home, he emphasized it would be better for her to have the second session at school due to her long day in the wheelchair. Based upon the evidence, Student remained in her wheelchair for an eight and a quarter hour school day, with one hour in the stander. Based upon that schedule, Student’s educational program would not be maintaining her medical condition, but causing detriment to it. 12. Dr. Kay’s opinion was persuasive because of his extensive training and education as a pediatric orthopedist for Children’s Hospital of Los Angeles for 15 years. Additionally, he worked for CCS, which had an interagency agreement with the California Department of Education to coordinate the provision of certain medical services for school age children. Dr. Kay saw over 50 disabled children per week, approximately 2400 examinations per year, and 36,000 examinations over a 15 year period. His extensive expert training and experience in the field of pediatric orthopedics, and his numerous examinations and treatment of Student over a 10 year period, gave him greater sample size to evaluate current practices, and greater knowledge of the detrimental impact that only one standing session per school day would have on Student. 13. Dr. Kay’s opinion was more persuasive than Ms. Van Vranken’s analysis of the peer reviewed physical therapy article. First, the article was 20 years old and not based on recent medical practices, as demonstrated by Dr. Kay’s testimony. Second, the author did not conduct his own studies, and instead reviewed other studies involving very small populations of people and animals, with as low as 20 subjects, compared to Dr. Kay’s approximate 36,000 examinations. Third, the article actually supported Dr. Kay’s medical testimony in several instances, as it established that as far back as 1962, prominent physical therapy studies concluded that a standing program for non-ambulatory school-aged children should be incorporated into the classroom routine for at least three hours daily because it dramatically improved their functional capacity and vitality. Similarly, a study of disabled adults demonstrated that a standing program of two or three hours per day retarded bone absorption. The author concluded standing two to three times daily for at least 45 minutes should be used to control lower extremity flexion contractures. Thus, Ms. Van Vranken did not convincingly establish that the peer reviewed article supported her belief that only one standing session in a school day was appropriate. 14. Dr. Kay’s opinion was also supported by Student’s March 12, 2012 IEP. That IEP properly acknowledged Student required access to her stander for functional mobility to maintain her access to the educational environment. That IEP recommended one session in her stander “at least 45 minutes per day.” Dr. Kay’s opinion was also supported by Student’s 2010 IEP, which provided Student two sessions per day to support her functional mobility and access to her educational environment. The evidence showed that Student’s abilities had not improved since then, but had declined. 15. Further, District’s physical therapist, Ms. Van Vranken, did not oppose Student having a second session in the stander, from a therapeutic standpoint. Additional time in the stander would support Student’s goals for mobility, APE, and physical therapy. Ms. Van Vranken asked the SDC teacher if there was time for a second session, and would have arranged it if there had been time. Unlike Dr. Kay, Ms. Van Vranken largely attributed her recommendation at the IEP to the SDC teacher’s class schedule and APE curriculum, and deferred to their academic program. 16. District contends that Dr. Kay’s testimony only demonstrated Student would medically benefit from a second standing session at school, but would not benefit academically from it. District contends Dr. Kay’s testimony should not be considered because it was not academically based, he had not reviewed her IEP, he had not attended her IEP meetings, and he did not know her class schedule. However, Dr. Kay had extensive experience with the school age population of orthopedically disabled students and knew their medical needs very well. Dr. Kay also knew Student’s medical history very well, as she was his patient for 10 years. He was aware that Student was in her wheelchair for a long school day, in the stander once per day for an hour, and on her changing table two hours a day. Dr. Kay did not need information about other aspects of Student’s current IEP because he knew she was in the stander only once per day for an hour at school. He convincingly established that three of Student’s major medical systems would be negatively impacted if Student remained in her wheelchair for such a long school day with only a single stander session. 17. District contends that there was no research which indicated that standing in a stander more than once per day has any increased benefit. However, as discussed above, the physical therapy article upon which District’s relied contained several peer reviewed studies which extolled the orthopedic, bone mineral density, and contracture benefits of being in a stander for two to three hours a day during their educational day. Additionally, the article contained peer reviewed studies which demonstrated both children and adults lost significant bone density with decreased time and frequency in the stander. Conversely, increased time and frequency was found to increase bone mineral density in both adults and children who were disabled, and the studies recommended two to three hours per day to retard bone resorption for both age groups. Rather than refute Dr. Kay’s testimony, the study relied on by District can be read to support it. Therefore, District’s contention that there are no studies supporting more than one time per day of standing in school is not persuasive. 18. District contends that there was no educational benefit to Student to have a second session in the stander at school. This contention presupposes that Student did not need the second session as a basic means of accessing her education. However, the evidence established that Student does not have an academically rich program. Her cognition was so low that her SDC teacher of three years could not estimate her age equivalency. Student’s program was functional and preacademic, with modest goals such as communicating her basic life needs. At age 19, she continued to work on understanding the concept of the “number one” with 20 percent accuracy in two of five trials. Her academic program and progress were virtually non-existent. The overall focus of Student’s program was to improve her basic mobility and communication skills, such that contrary to District’s contention, increased strength and stamina from use of the stander was educationally related. 19. Rather, the evidence established Student would receive an academic benefit with a second standing session because she used her communication switches during her standing sessions. Student had four goals in her March 12, 2012 IEP for communication and the use of her switches. Additionally, Student was able to use the tray which attached to her stander for communication and preacademic instruction. Ms. Van Vranken agreed the standing session was an excellent opportunity for Student to work with her communication switches. Student’s overall medical and orthopedic condition was declining. Her mobility deteriorated from a gait trainer to almost 100 percent of her time in a wheelchair. Her scoliosis and contractures were worsening. Student’s overall medical benefit of the second standing session outweighed any negligible progress she could make on her preacademic and functional goals. Overall, given that Student’s educational and communication goals were so limited, and focused on mobility and communication, as demonstrated by Dr. Kay’s testimony, the use of the stander twice daily would potentially increase mobility and her access to communication switches. 20. Additionally, given her medical conditions, the evidence established that Student would receive an academic benefit with a second standing session because the medical benefits to her bones, lungs, gastrointestinal system and emotional well-being, would help her vitality, stimulate bone growth and allow continued access to her education at school. 21. District contends that there was no time in Student’s school day for a second session in her stander. However, District did not establish that Student’s schedule was so academically rich that an additional stander session would interfere with instruction. The evidence showed that more time than necessary was spent on the changing table, such that the amount of time in the day was not a plausible factor explaining why only one stander session per day was offered. 22. District contends that Student’s APE class was not appropriate time to have a second standing time. However, Student’s current APE program did not support Student’s physical education. It provided no physical activity during her two hour block of APE time, other than being pushed around during APE games or occasionally stretching on a mat. The stander was important for the management of Student’s contractures and bone density resorption. Contrary to District’s arguments, the evidence showed that use of a stander a second time would have been a far more appropriate activity during APE than remaining wheelchair bound. 23. To the extent District contends it did not have sufficient staff to transfer Student in her stander for a second session, this argument is not a factor in considering whether provision of a stander more than once per school day is necessary to provide a FAPE. Nothing in IDEA excuses school districts from providing a FAPE based on staffing levels or schedules. 26. As discussed above, Student prevailed on the sole issue presented. District shall provide Student with two stander sessions per day, for a total time not to exceed one hour. While Student established she was entitled to the second stander session in the afternoon, the amount of time cannot be increased due to the lack of evidence at hearing supporting additional time, in light of her medically fragile condition. District shall amend the March 12, 2012 IEP to provide Student with access to two stander sessions per day, one in the morning and one in the afternoon, for a total of one hour. District shall not be required to purchase an additional stander, as the second standing session may be done in Student’s SDC classroom. Pursuant to California Education Code section 56507, subdivision (d), the hearing decision must indicate the extent to which each party has prevailed on each issue heard and decided. Student prevailed on the sole issue presented.